Isaac Newton Primary School have a rich history of providing numerous sporting opportunities for their pupils. With a wide variety of after school clubs mixed with engaging PE lessons, they provide an excellent stepping stone for their pupils’ health and wellbeing. A large number of pupils have also taken their sporting abilities to an extremely high level. Following several successes earlier in the year, take a look at this list of sporting achievements in just the last few weeks! A huge congratulations to the school volleyball team who are now officially County champions! 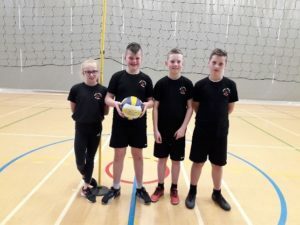 They travelled to Lincoln to play against other schools who had also won their local volleyball tournaments earlier in the year. Following a ‘round robin’ event, Isaac Newton finished top with the highest points difference. Staff noted that they faced some stiff competition throughout the day but fought hard to come out on top! Netball – Grantham League Winners and 7th in Lincolnshire! 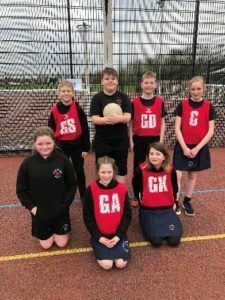 At the end of the term, Isaac Newton also took part in the Netball County Finals, having qualified after topping the league in the recent Grantham Netball League. The team played fantastically, worked hard as a team and supported each other throughout the competition. The children were a real credit to school, showing real improvements with each game played. Their passing, shooting and defending was exceptional and following group games they finished 7th overall. This is brilliant achievement……7th best team in the County at Netball! 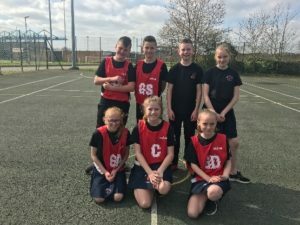 Netball – Grantham Tournament Runners Up! The school entered two teams into the Grantham & District Netball Tournament towards the end of term. Both teams played incredibly well showcasing some excellent netballing skills. Isaac Newton A team managed to reach the final of the competition, thanks to some great shooting from Leo and Ronnie-Mae on the way. Unfortunately, they were just beaten in what was a tough final game, finishing a very impressive second place. Isaac Newton B team finished runners up in their league, just narrowly missing out on a place in the semi-finals. 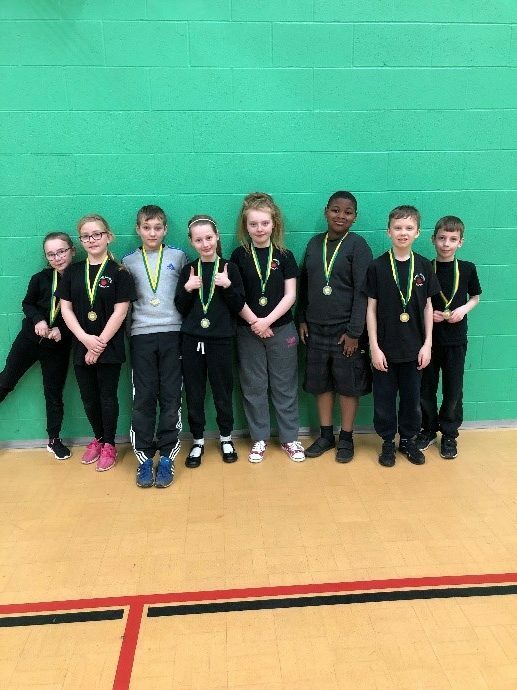 They were a relatively new team and improved with every game they played – staff explained ‘it was great to see their confidence grow as the tournament progressed.’ All children were a real credit to Isaac Newton and the school are very proud of their efforts. Tag Rugby – 3rd in Grantham! 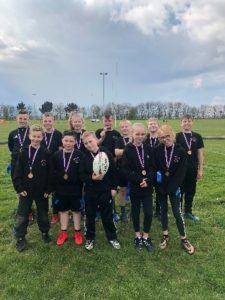 The school tag rugby team had fantastic success in the recent Grantham Primary Schools Tournament. Following weekly practice after school, the team approached the competition with confidence and a real understanding of what can often be a tricky game to learn. Passing the ball behind, running together as a group and using speed and agility to reach the try line, they made the semi-finals! They were incredibly unlucky to just miss out on a finals place but they re-grouped and, following a last second try from Damir, the team were able to win their final match and finish 3rd overall in the tournament. They received Bronze medals, the school’s best ever position in Tag Rugby! Hockey – 5th in Grantham! 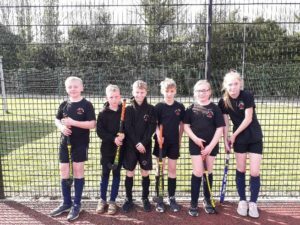 The school entered a team into the Grantham Hockey Tournament. A relatively new team, they took on each game with real determination, finishing a very respectable joint 5th place. Both of Isaac Newton’s football teams have been in action recently. The results were as follows: A team beat Belton Lane 2-0; A team defeated St Marys 4-0; B Team beat St Marys 8-0. The teams played fantastically well in all their fixtures. Throughout the games they impressed with their passing skills and it was great to see how their teamwork improved as the games went on. There is just one more fixture left to be played before the leagues are decided! A group of KS2 children took part in a Change4Life Festival last week. They played lots of fun and exciting games, challenging themselves and working as part of a team. All the children thoroughly enjoyed the afternoon and were a real credit to school! Everyone received a medal for taking part and they have been proudly wearing them in school.